Payments as low as $41/mo. 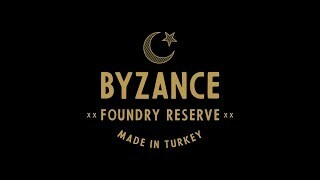 The Byzance Foundry Reserve Rides are very versatile cymbals featuring a dry stick attack note followed by a complex character carried along in a dark wash. 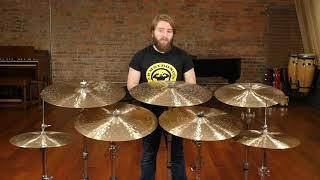 Starting with the extensive hand-hammering, the cymbalsmith forms the low fundamental pitch building up to a rich character. The fully lathed surface gives the stick definition a bright attack followed by that lush wash of undertones. They provide enough body for a strong stick definition to drive a band, but are thin enough to open for thunderous crashes too. The light rides also responds easily to mallets.